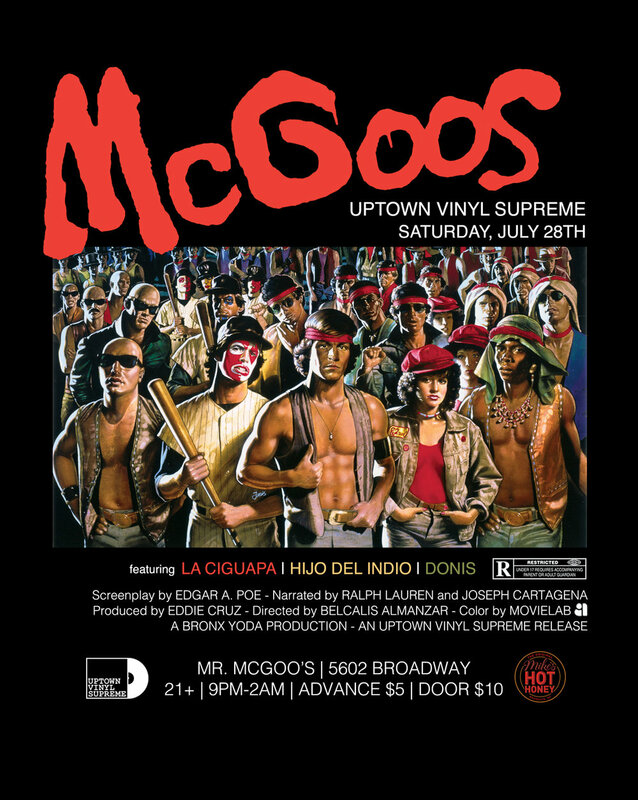 Streaming all vinyl live on the world wide web.. 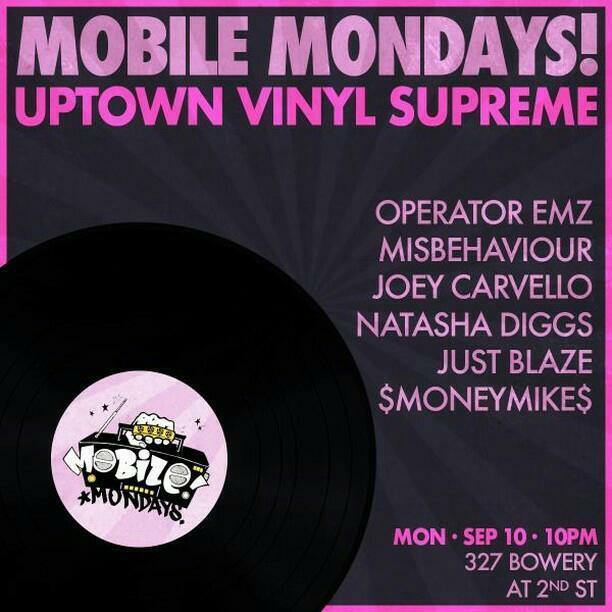 Playing nothing but vinyl straight out of the boogie down to wherever you are! Tune in to the live stream by going to www.uvs.fm on your phone, laptop, tablet or smart tv! 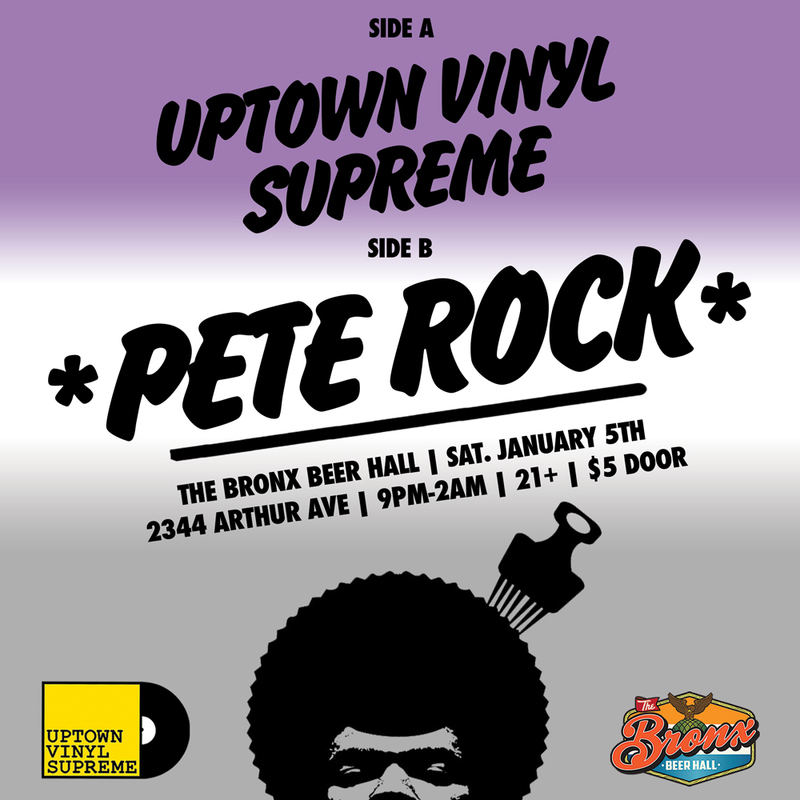 It's only fitting that we have the Soul Brother Number One Pete Rock starting the new year with us right here in the birthplace of hip hop—the Boogie Down Bronx. 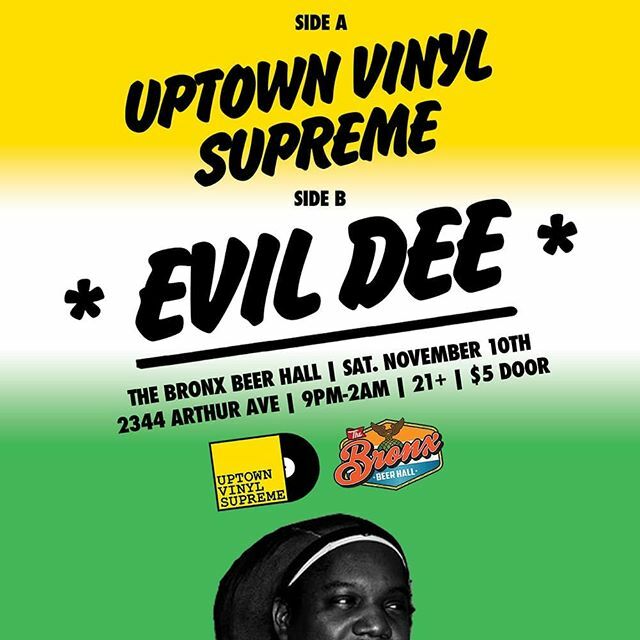 New Years Eve Uptown Boogie Night hosted by Osa and Uptown Vinyl Supreme at The Last Stop. Free dance party off of the 242nd street 1 train station. Contents and prizes for the most fiercest Disco Stars of the night. 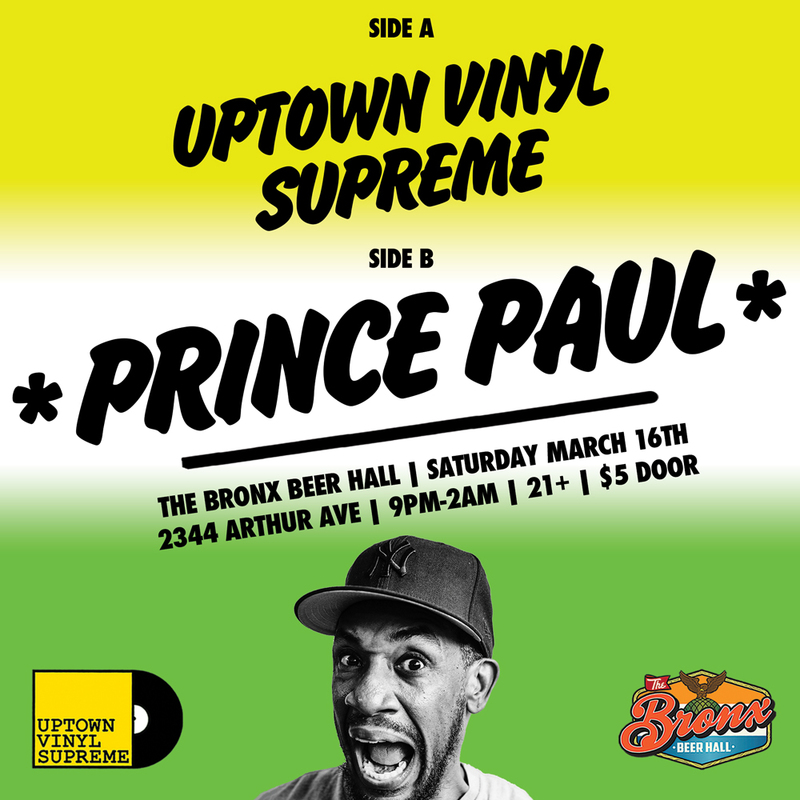 Come dressed up in your funkiest garments you can find, call up your dancing partner and meet us at the last stop on the Uptown Bound 1 train. Join us for our final installment of UVS first Saturdays of the year with this extra special, holiday market edition. We have 7 amazing vendors from our beloved community bringing food, jewelry, toys, clothing, coquito, homemade Bronx body products, crystals, and more! 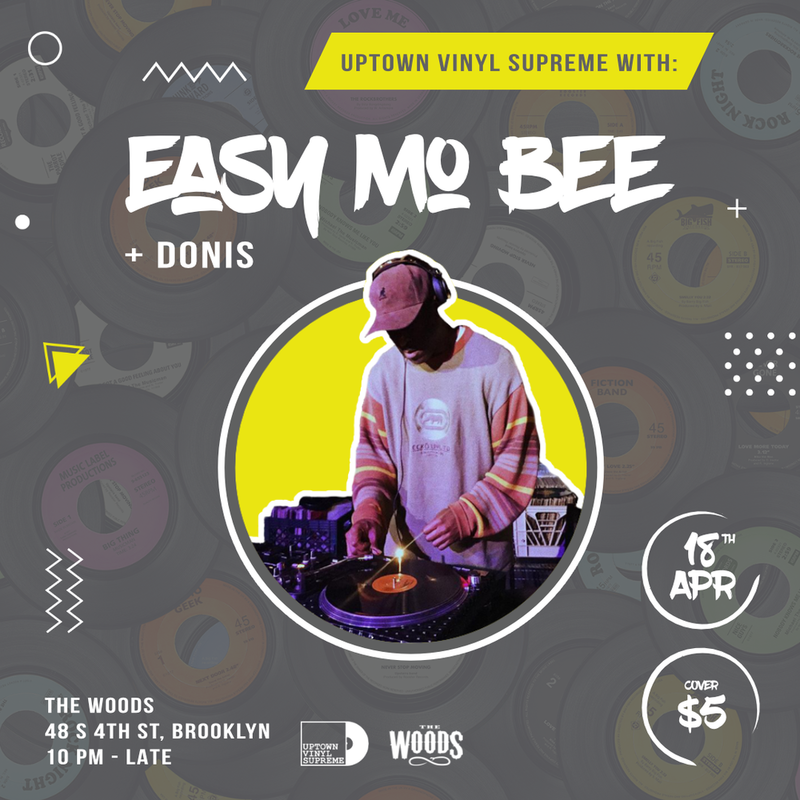 We also have our brother in vinyl, DJ Ted Smooth joining us on the decks closing out the year, just like how he opened it in January this year. 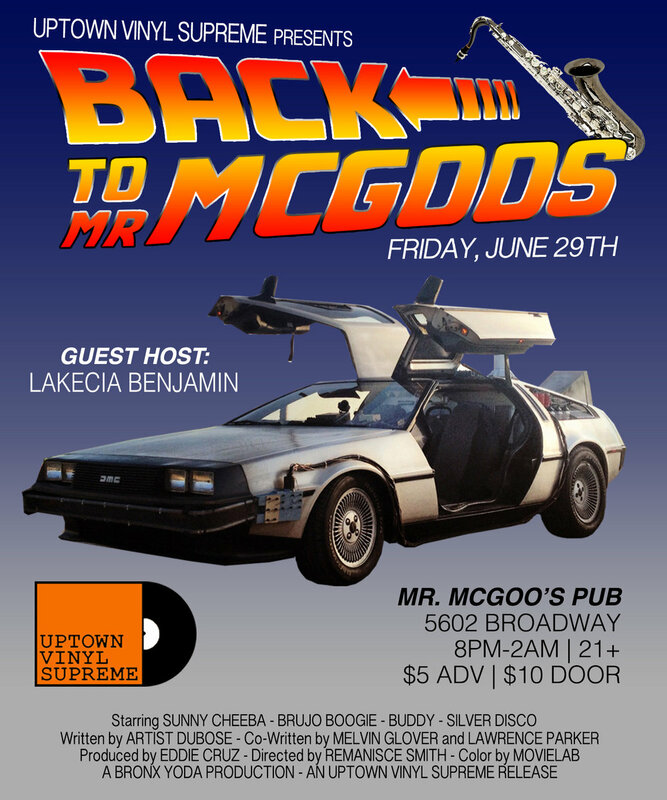 This is the story of 4 disc jockeys using the magic of records to transcend time and space to hack the planet. Their only crime was curiosity. 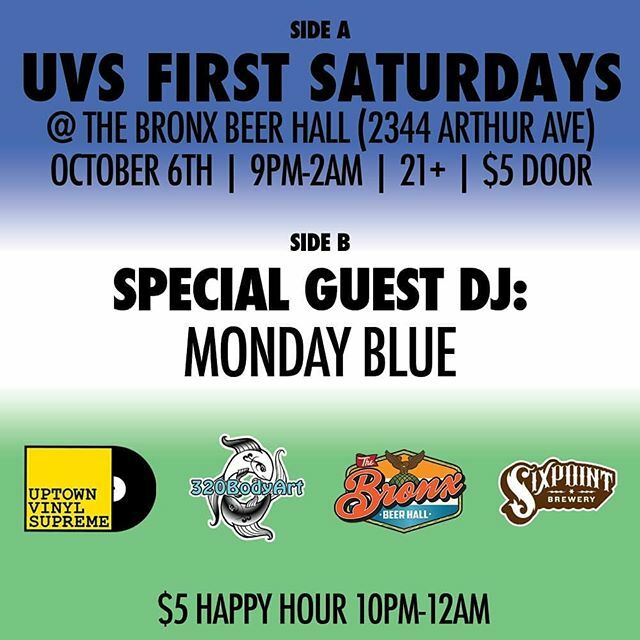 Your sound selectors and hacker extraordinaire's for the night are Dj's Buddy, Sunny Cheeba, Brujo Boogie, and Silver Disco. Upon arrival step into a time capsule and get your cyber photos taken by our boogie down sister @_bombcherry. ......Remember, hacking is more than just a crime. It's a survival trait. 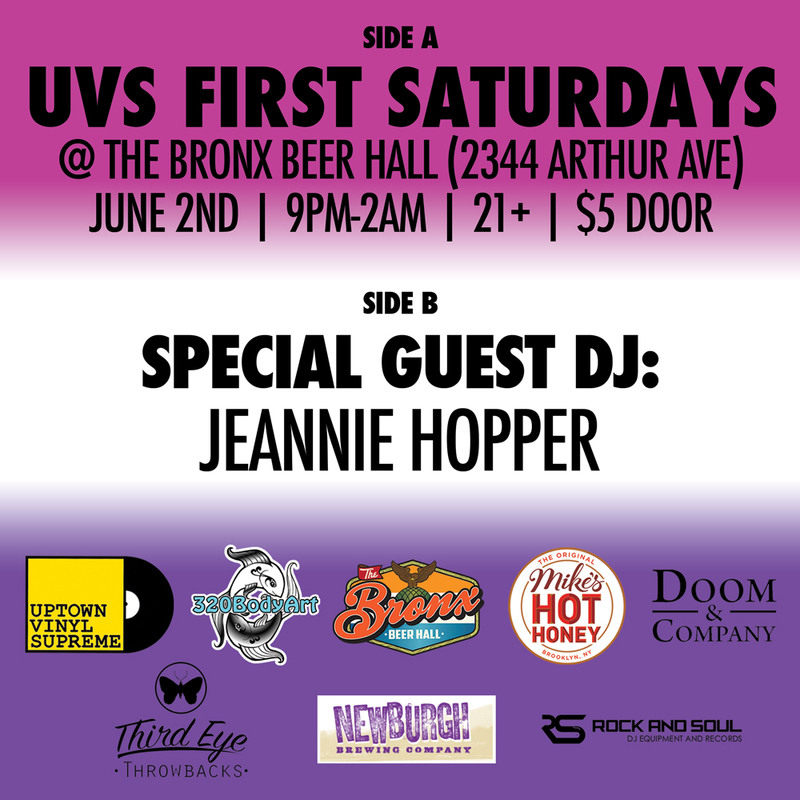 When the end of the month begins to commence only one thing is for certain, you will be anticipating the next UVS First Saturdays at the one and only, The Bronx Beer Hall. Located inside the Italian Market on Arthur Avenue, this hidden gem is easy to pass by hard to forget once found. And when found you will swear you walked into Narnia. 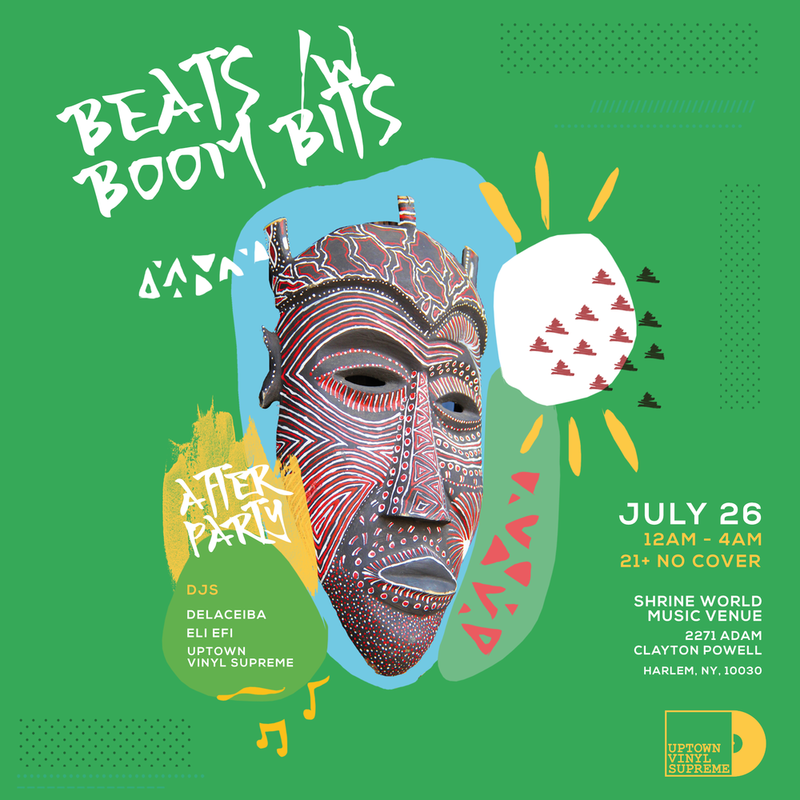 We’ll also have reiki massage and body art by our family, 320 Body Art, in the building holding space along with vinyl for sale by Cinderblock People. 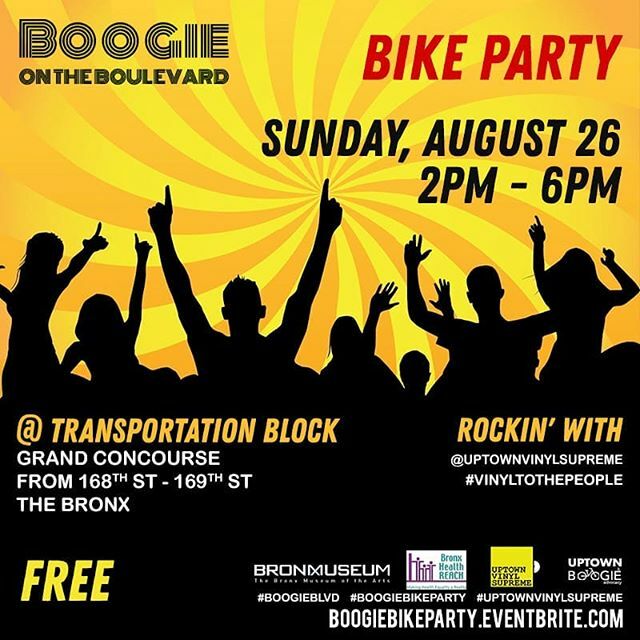 Join us for a boogie-down Roller Jam, featuring food trucks, music and fun activities, followed by an evening of dancing with yourself and everyone else! 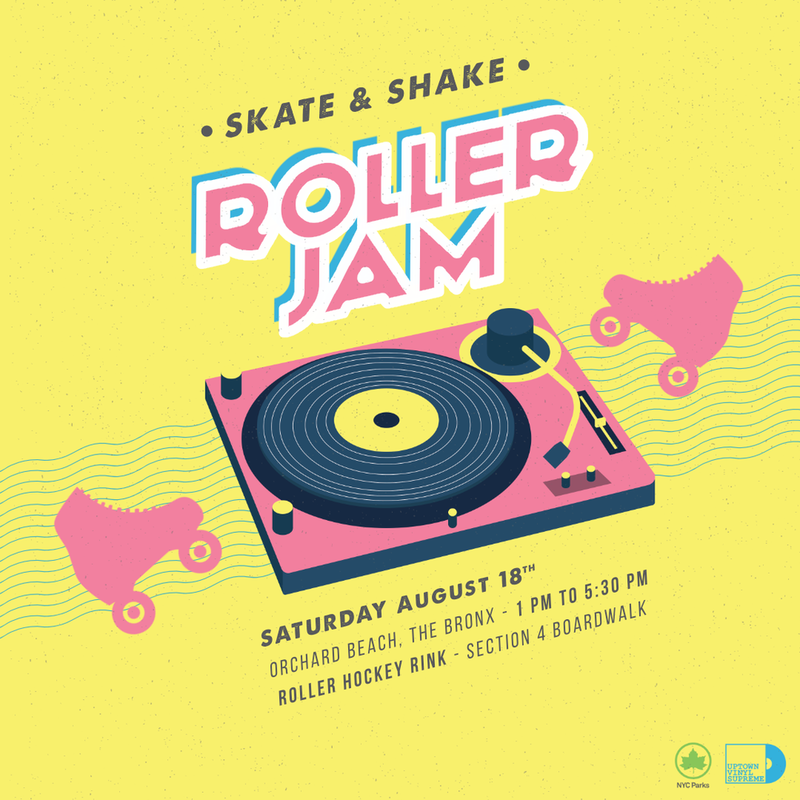 Roller Jam features all vinyl music with two sessions from 1:00 p.m. – 3:00 p.m., and 3:30 p.m. – 5:30 p.m. Free skate rental or bring your own wheels. 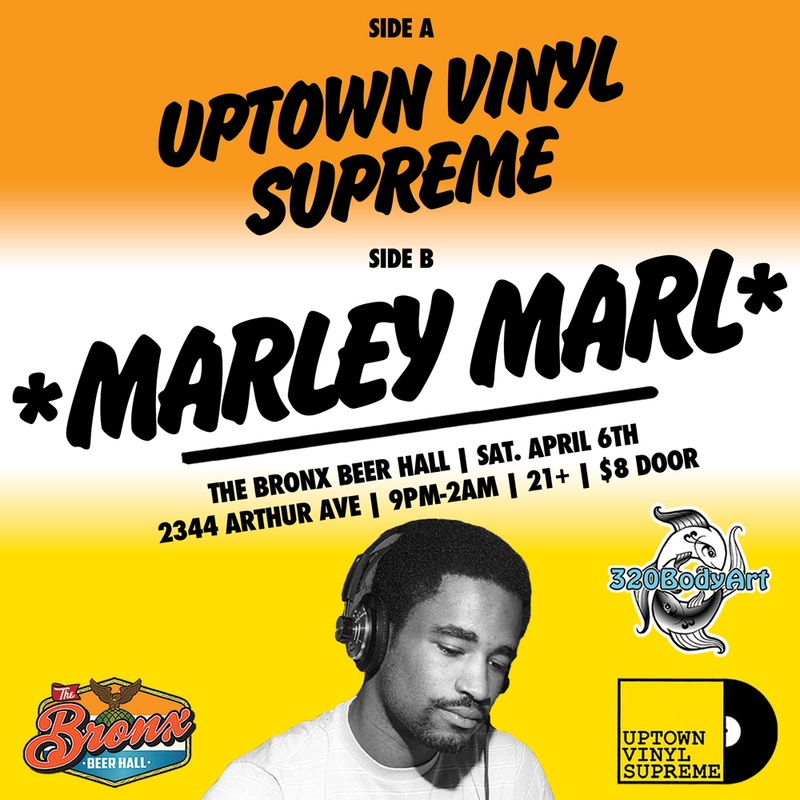 After last year’s successful Hip-Hop Summer School program at The Kingsbridge Heights Community Center in the Bronx, Uptown Vinyl Supreme was inspired to expand their collective mission of bridging music and community. This year they plan to continue this tradition by curating a day in honor of Hip-Hop’s 45th anniversary. 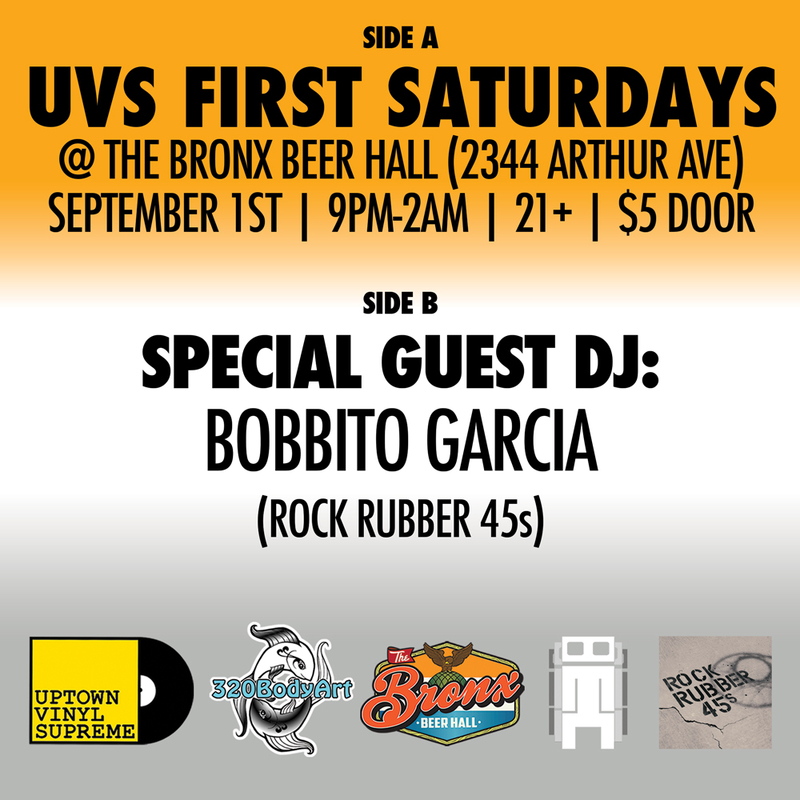 When the end of the month begins to commence only one thing is for certain, you will be anticipating the next UVS First Saturdays at the one and only, The Bronx Beer Halll. Located inside the Italian Market on Arthur Avenue, this hidden gem is easy to pass by hard to forget once found. And when found you will swear you walked into Narnia. Join members of Montefiore's Community Advisory Board for a day of physical activity, health information, and great raffle prizes and giveaways! Exercise, activities, yoga, and music for people of all ages. Warm-up stretches begin at 10AM !